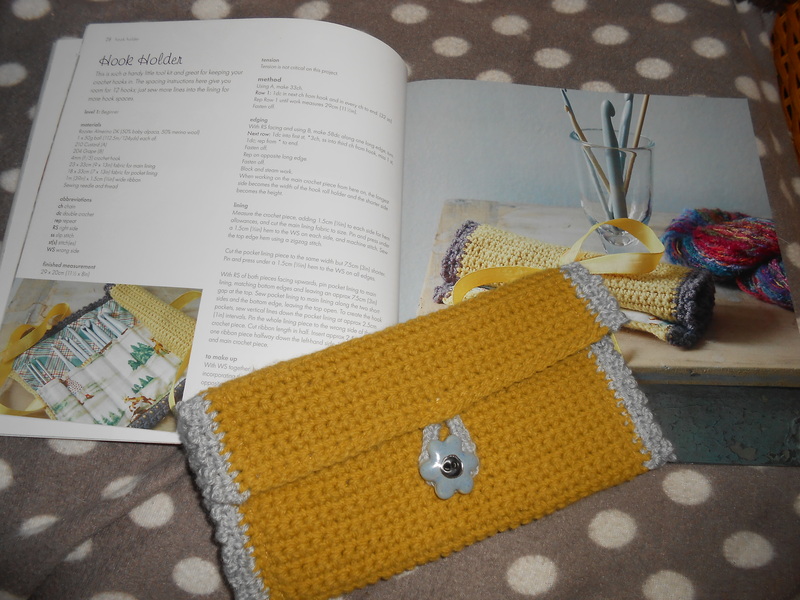 This project was going to be a crochet hook case but at the last minute I decided to change the design to a crocheted purse as I found a beautiful ceramic button which works perfectly with the mustard coloured wool. 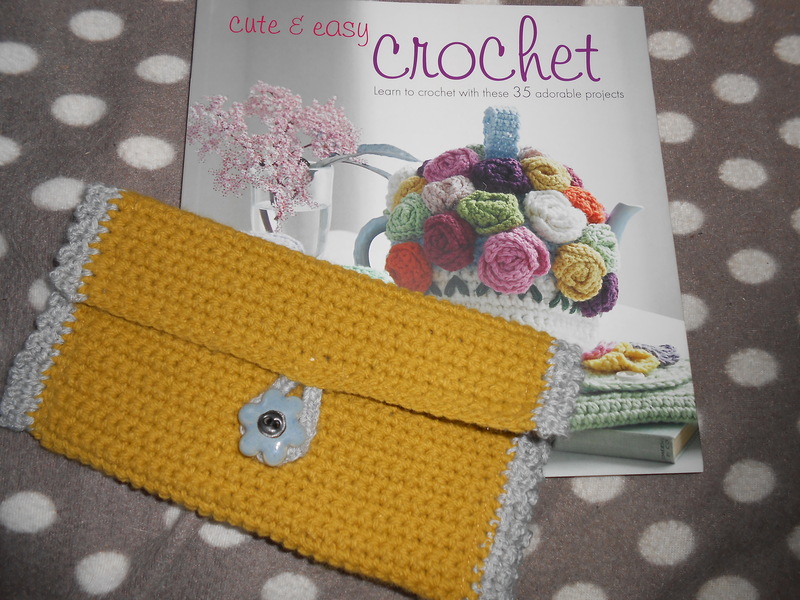 I found the crochet hook case pattern in a book called “Cute & easy crochet” by Nicki Trench. The patterns in this book are really simple to follow and the finished results look very professional. This is such an easy purse to make, I feel the finished product looks striking and attractive. I sewed a piece of grey/lilac fabric in to the inside of the purse to match the colour of the button, I think the fabric lining makes the purse feel more sturdy and secure, it also helps to tie all of the gray colours together. The main section of the purse is simply made from double crochet all the way along the row until the desired length is made. The edging of the purse is made up of a chain of 3 and then a double crochet to secure the chain to the main body of crochet. I’m definitely going to be making lots more of these purses in a variety of different colours because they’re so easy to make! I love the finished look of the purse and hopefully othe r people will love the simplicity of these purses as much as I do. I’m hoping to sell these purses on either Etsy or at local craft fairs. If you try making this purse then I hope you enjoy making it as much as I do, I recommend buying the book that I mentioned above if you are looking for easy to make and simple to read crochet projects.